21-23 of November the largest conference dedicated to Internet technologies – Russian Internet Week (RIW) was held in Moscow. This is not the first time when this event pass, but for the first time blockchain development was presented in a separate section – Crypto Event RIW. Progress does not stand still, and more and more companies are betting on crypto projects that can realize the most complex tasks. The honorary title of “silver sponsor” went to DEEX, a decentralized ecosystem in which the functionality of several projects is combined. Exchange, secure messenger, crypto fund, a network of crypto ATMs, the place for ICO conduction. And all this on the fastest blockchain with an unprecedented level of security and one of the best interfaces among trading Dex- platforms. We told and showed the guests of DEEX booth about this and many other things. During three exhibition days the representatives of the main decentralized ecosystem communicated with the visitors of the RIW conference, made presentations and gave interviews. We have gathered an extensive database of contacts. The most interesting and promising projects will become DEEX’ partners in the near future. Market trends, major digital currency corrections and stringent regulatory measures are forcing developers to look for a safe and secure place to list their assets. One of the main issues and with which the participants of the conference came was related to the listing on the Exchange. DEEX provides the best terms and flexible listing conditions for new tokens. This was the decisive factor for new partners when choosing an exchange. If you also want to become a part of a decentralized ecosystem, please submit your application here. Another interesting proposal, which DEEX offers its partners, is the “turnkey” implementation for ICOs. We have everything you need to implement a successful fundraising campaign. The issue of organizing your own ICO became the second most popular theme among the guests of the conference. 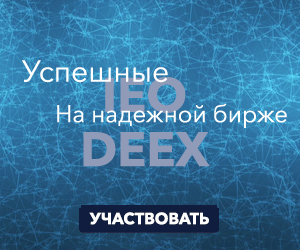 Soon we will talk about new projects that will conduct such campaigns together with DEEX. 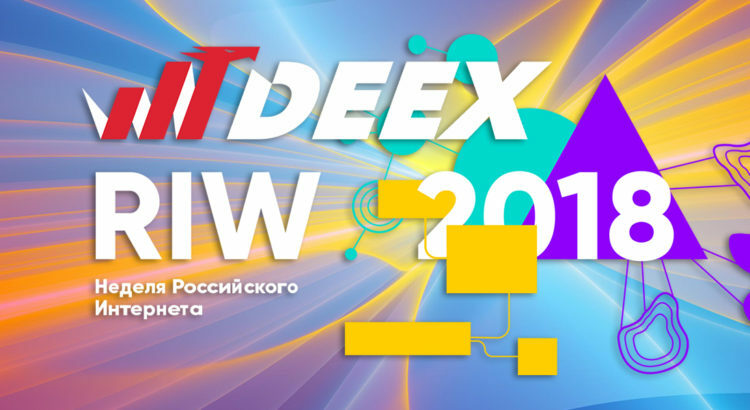 For those who couldn’t visit RIW and ask us about it personally, write on the e-mail info@deex.exchange. We will also answer all your questions in the official DEEX Telegram chat. Once again, we thank everyone who took the time to visit the exhibition and came to our booth. A small photo gallery from RIW perfectly complement this report from the main Internet event. More photos can be found in the official DEEX Instagram account.